Johnathan C. Duncan practices primarily in the areas of securities and mergers and acquisitions. Johnathan has a broad range of experience representing public and private companies in general corporate, transactional and securities law matters. In his practice, he regularly advises clients on mergers and acquisitions, equity offerings, corporate governance, securities law compliance and Exchange Act reporting. Johnathan frequently represents companies involved in stock and asset purchases and sales, reverse mergers, and general commercial contracting. He also has experience representing a U.S. based activist shareholder in navigating Japanese “advanced warning system” anti-takeover measures at a number of Japanese companies, including, Bull-Dog Sauce Co., Ltd., Sapporo Holdings Ltd., and Aderans Company Limited. In addition Jonathan also focuses on qualified plan, non-qualified plan and executive compensation matters. 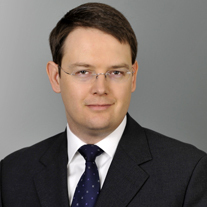 Prior to joining Olshan, Johnathan was an associate at Proskauer Rose LLP. Represented underwriters in public offering of Pioneer Power Solutions, Inc., which intends to use the proceeds to repay its outstanding borrowings and to fund acquisitions and working capital. Represented Metropolitan College of New York in the purchase of a commercial condominium to house its growing college programs within a $40 million development known as the Triangle Plaza Hub in the South Bronx. The construction and purchase of the condominium is being financed using New Markets Tax Credits. Represented CERTPOINT Systems Inc. in a merger with Infor Inc. Represented a NYSE MKT listed company in connection with a self tender offer for its common stock. Represented a publicly traded clothing company in the sale of its sports clothing business. Represented a number of public companies in connection with their credit facilities. Represented a construction company in its merger with a publicly held shell corporation. Represented a green construction materials company in its merger with a publicly held shell corporation. Represented private companies in private placement financings. Represented a special purpose acquisition company (SPAC) in the proposed acquisition of a bank with locations in Washington and Oregon. Represented a U.S. based activist shareholder in navigating Japanese “advanced warning system” anti-takeover measures at a number of Japanese companies, including Bull-Dog Sauce Co., Ltd., Sapporo Holdings Ltd., and Aderans Company Limited (n/k/a Unihair Ltd.), in its attempts to increase ownership stakes and improve corporate governance. Represented a publicly traded holding company in its acquisition of a privately held fashion model management company and its affiliated entities. Represented a Nasdaq listed biopharmaceutical company in connection with a $1.032 billion common stock offering. Represented an Israeli venture capital firm in the formation of a $200 million SPAC. Represented a Scottish bank in connection with a $575 million secured credit facility to a developer of residential golf course communities. Represented a Nasdaq listed diversified technology company in connection with the acquisition of substantially all the assets of a privately held consulting company. Represented a private equity firm in connection with the sale of a portfolio company for $205 million in cash and debt. Represented an Icelandic prosthetics manufacturer in the acquisition of a prosthetics and orthotic device manufacturing portfolio company from a private equity firm for $216 million. Represented an independent financial and market research firm based in Singapore in a buyout of its existing equity investors. Represented a private equity firm in the acquisition of an integrated information management company in a transaction valued at approximately $30 million. Represented a London based technology company in the acquisition of a manufacturer of thermal interface materials for a purchase price of up to $44 million. Represented a portfolio company of a private equity firm in connection with a $65 million asset-based loan. Represented a French telecommunications company in the sale of its optical components businesses to a Nasdaq listed company in exchange for stock having a market value of $135 million. Represented an industrial products provider in connection with a $300 million leveraged buyout of its stockholders by a private equity fund.